I have known the Rev. Jasper Williams for a long time and respect him as an individual. I wonder, however, if he understood the meaning of “eulogy” in the wake of the unfortunate sermon he delivered at Miss Aretha Franklin’s funeral in Detroit’s Greater Grace Temple recently. I attended the funeral for eight hours, and I joined Miss Franklin’s family in condemning Rev. Williams’ decision to use a critical moment in history to espouse personal political views rather than to righteously honor The Queen of Soul’s life and legacy. In his supposed eulogy, the Rev. Williams repeated the false narrative that black women are incapable of raising boys into men. He then echoed President Trump in suggesting black-on-black crime in cities like Chicago is the main issue – neglecting to address systemic injustices inflicted on African American communities. The Rev. Williams doesn’t just need to study history. He needs to read, and re-reread, first the story of Jesus’ death on the cross. Apparently, Joseph’s father was not at the cross when the Christian savior died on the cross. There were only women and John’s beloved disciple whom Jesus said, “Son behold thy mother; mother behold my Son.” From that moment on John became a surrogate to Jesus’ family, and that family produced James, who became the leader of church at Jerusalem. Moreover, Frederick Douglass, George Washington Carver, Jesse Lewis Jackson and yours truly, did not have a constant father image present. But these iconic men still achieved. In the next instance William Golding’s Lord of the Flies– a book about young civilized British schoolchildren who survive a plane crash on an uninhabited island. The children gradually devolve into a devastatingly low level of humanity as they attempt to form a new society on the island, and that scenario does much to explain what is going on in the more violent areas of Chicago. After the first and second world wars, resources were scarce and African Americans migrated in droves to cities like Chicago for work, particularly in the defense industry during WWII. After the second war ended and factories closed, families in African America communities were left jobless in areas that lacked quality education, adequate housing, and so forth. Like the British schoolboys, they were left stranded on an island without human necessities and a culture of violence emerged. In her eulogy Miss Aretha Franklin should have been recognized, not only for her voice, but for her not giving up on our marginalized communities. She was also an encourager. She lived to encourage others, and to help others. From the time she sang at her father’s church, she alongside her father, fed people in need. She never stopped helping people at the church through donations and other support, becoming an inspiration to the community. NBA legend Isaiah Thomas said he got to know Aretha Franklin when he was a bad boy in the league. 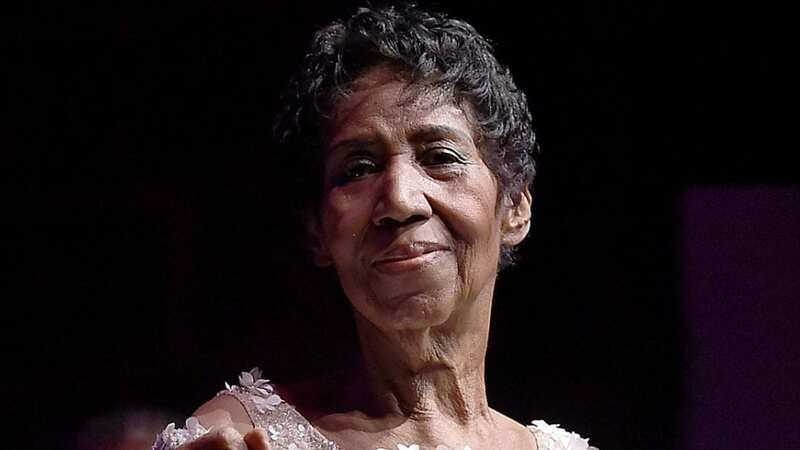 Till the very end, whether it was the Flint water crisis or students in need, Aretha was there to support. Perhaps these good deeds to some degree de-emphasize the majesty of her musical craft. A third star for this five-star Queen of Souls is not just in the distinction in her voice and her command over it, but how eclectic she was in her artistry and the music she performed. She influenced Elvis Presley in terms of his musical style. She knew how to sing Ave Maria. The person behind that universal voice spoke universal truths, seeing America not as a melting pot of boiling stew, but more as a health salad bowl of people and ideas. That’s what she was about in her music. That’s what she brought. She not only included all musical styles but also races, creeds, religions. She was a world citizen. Fourth Star: She was an incredible soul sister. Amid avid support for marginalized populations, she tried to prop up fellow African Americans, provide them with hope. She raised nearly a quarter million dollars to get Angela Davis, falsely accused of being a communist, out of jail. Decades after her father helped plan the March on Washington of 1963, where Martin Luther King Jr. delivered portions of his I have a Dream speech, Franklin was in Washington to perform “My Country ‘Tis of Thee” at the inauguration of the nation’s first Black president, Barack Obama. Fifth star: She was an “endurer.” In spite of challenges, Aretha Franklin served others to the very end. Months before pancreatic cancer ravaged her body, she went to New York for Elton John’s fundraiser to support the cause of fighting AIDs. To the bitter end, she was serving, she was enduring. And that’s just who she was. Amos C. Brown is an African American pastor and civil rights activist. He is the president of the San Francisco branch of the NAACP and has been the pastor of the Third Baptist Church of San Francisco since 1976.